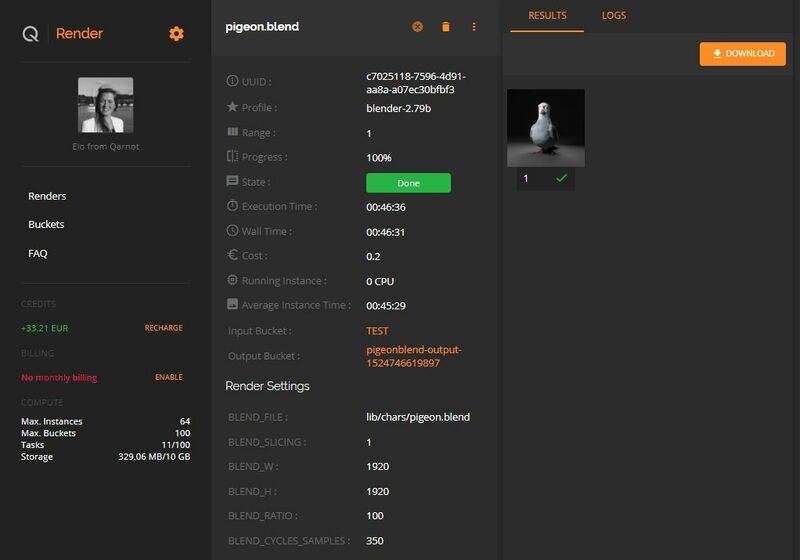 In this blog post, we will lead you through your first rendering on Qarnot Render, our fully-featured render farm designed for CG artists and studios. What do I need to start my first Blender render? To follow this tutorial you need to have a valid Qarnot account (€15 credits offered upon subscription to test the service). You also need a test project: you can either use one of your own projects or use one of Blender’s demo files. First of all, create a bucket. What is a bucket ? It’s a folder where you can store and access your files. 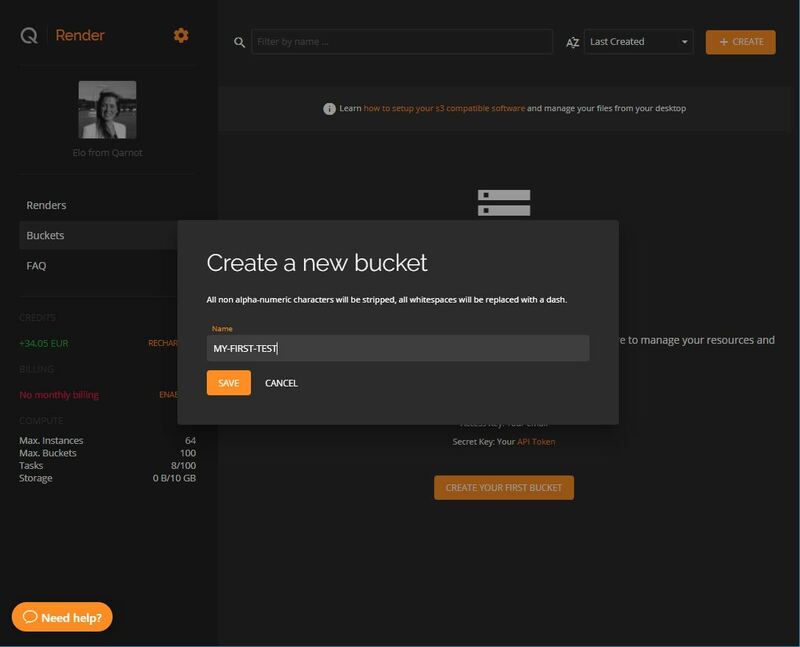 On the “buckets” tab, click the “create a new bucket” button. Upload your project. Upload your Blend file, your textures, any other material for your artwork. You can directly upload a folder with subdirectories which structure will be replicated in the buckets: this is recommanded when you have lots of files! You are nearly ready to render! 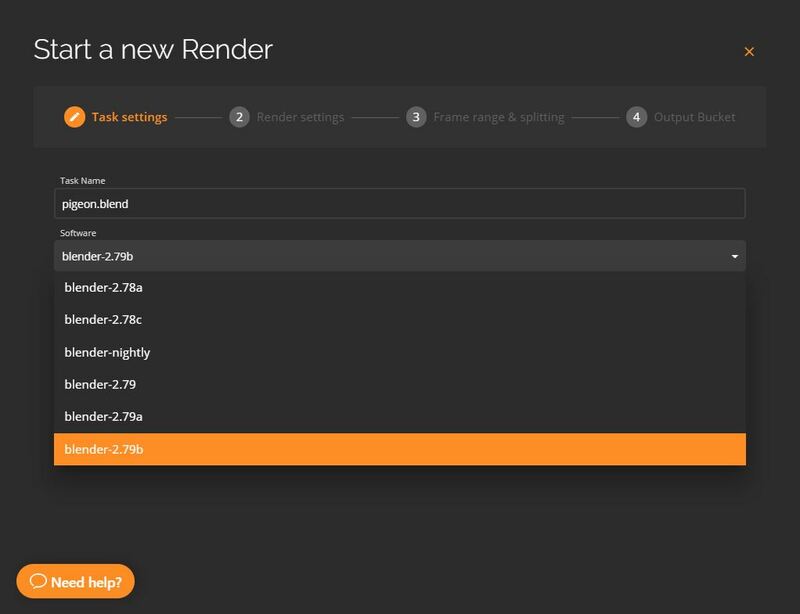 In your bucket, select the Blend file to be able to: – See a preview of the render – Check dependencies: this feature allows you to check that you have all files necessary to launch your render. 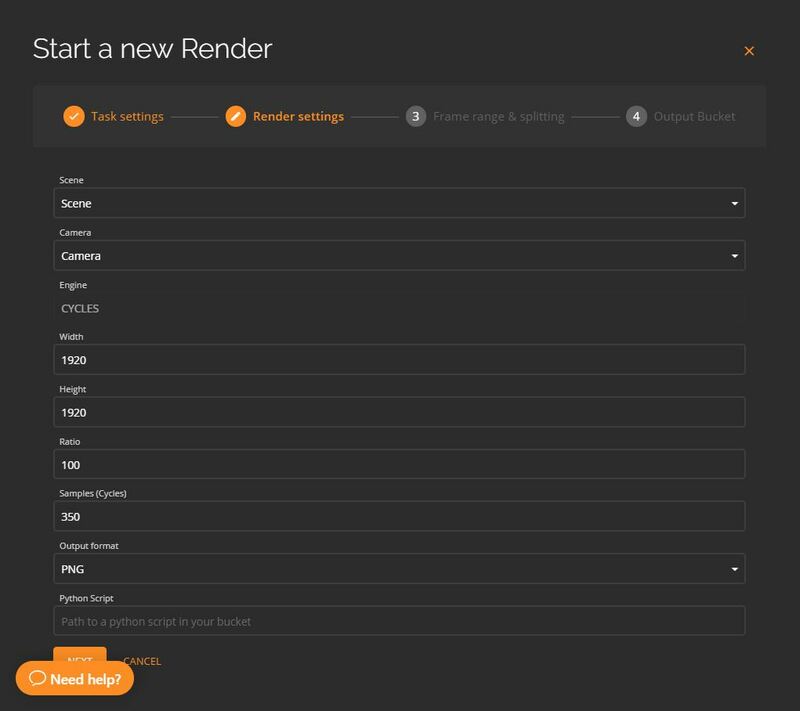 Then, click on the “New Render” button. Step 1: Task settings By default, our service sets all parameters according to the Blend file properties. It is recommanded to select the same Blender version as those used at the creation of the Blender file. If you don’t know which version was used to create your Blender file, you can chose the latest version. Step 2: Render settings At this step, suggested settings come from your Blender file. But you can set your own parameters according to your needs. – Still image: render one frame (enter the frame number here). Frame step: if you have selected a range, you can chose a step between rendered frames. If you enter range 0 to 200 with a step of 10, it will render frames 0, 10, 20, 30, and so on, to 200. 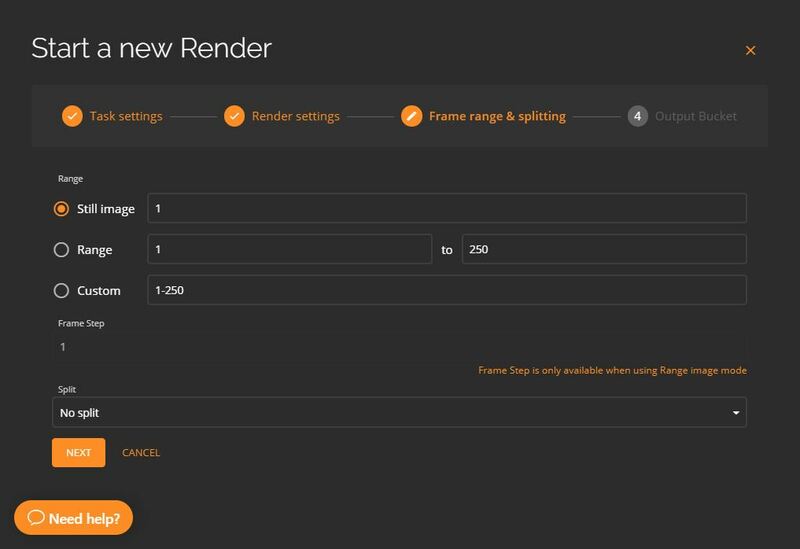 When your render a high resolution image (single frame), to get a short rendering time, you can use the “split” option. Learn more on this option here. Step 4: Choose an output bucket This is the last step before your render. 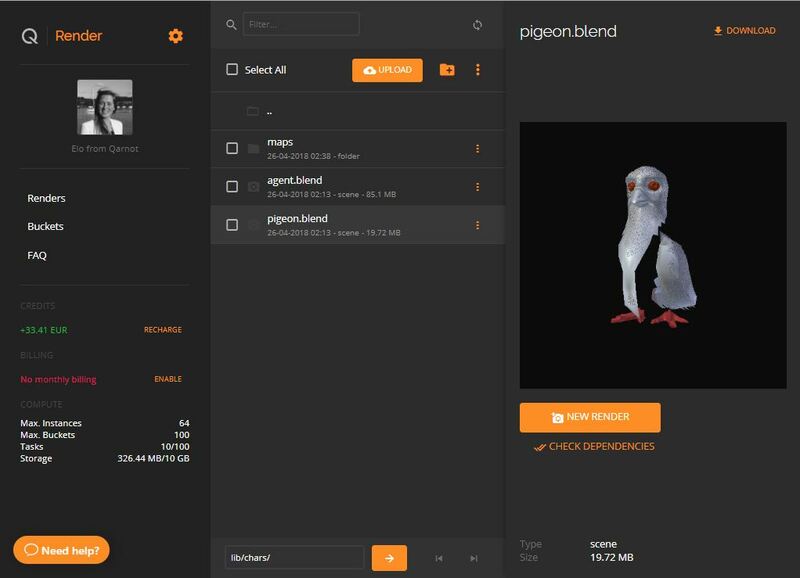 In this output bucket, you will be able to access your rendered image.